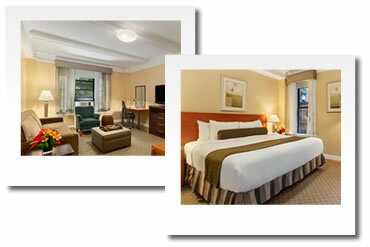 See below for our preferred and top selling suite hotel in New York “Best Western Plus Hospitality House”. But with the enormous amount of offers in New York from youth hostels to 5 star hotels, we have a wide selection of other options. Please contact us for other possibilities and options. “Best Western Plus Hospitality House” is a 4 stars suite hotel with one or two bedrooms with kitchen, living room and a separate dining area in New York City’s prestigious East side neighborhood. - The one bedroom suite sleeps 4-5 with a square footage of 75m2. - The two bedroom sleeps 6 with a square footage of 100m2. - A big bonus here is the free hot American Breakfast, value of at least $15 per person per night.